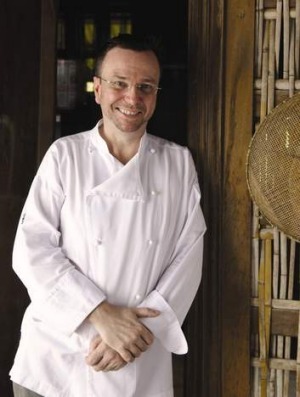 News that Australian-born chef David Thompson's Bangkok restaurant has been recognised as Asia's best has come as no surprise to those who have eaten there. Melbourne chef Ben Shewry, whose Attica restaurant was the highest ranking Australian eatery on the World's 50 Best Restaurant list last year said Thompson thoroughly deserved the accolade. "David Thompson's a cook’s cook and his food at Nahm takes you to places you've never been, in the craziest most thought-provoking way," Shewry said. Nahm was named the No. 1 restaurant at the S.Pellegrino Asia's 50 Best Restaurants 2014 awards last night. Fellow Australian Tetsuya Wakuda placed at No. 7 on the list for his restaurant Waku Ghin, located in Singapore. Commenting this morning, Shewry described Thompson as humble and self-deprecating: "I doubt there’s a single person in our industry who isn’t delighted (by his win)". Thompson began his career in Sydney when he opened Darley Street Thai in 1991, followed by Sailors' Thai in The Rocks in 1995. Thompson then opened his first Nahm restaurant in London. 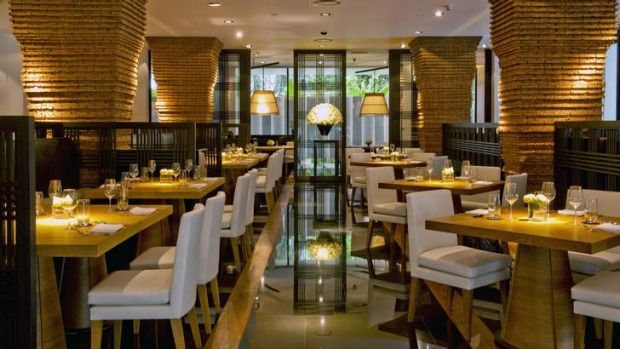 The London Nahm was the first restaurant specialising in Thai cuisine to be awarded a Michelin star. It closed in late 2012. Recalling his 2011 meal at Nahm, Ben Shewry described it as "possibly the most crazy meal I've ever eaten, in the best way. I consider the man a genius ... A singular 25 year devotion to Thai food is rewarded by his peers with this result at Asia's 50 Best. Bloody legend!" Thompson's four-year-old Bangkok restaurant, fuses traditional Thai flavours with modern techniques. Good Food restaurant reviewer and food writer Jill Dupleix also hailed Nahm’s win, saying her meal there in 2012 was the best she had that year. Dupleix said she had previously eaten at Thompson’s Sydney restaurants but was unprepared for a "whole new level of Thai dining" when she experienced his Bangkok restaurant. "The cooking there is uncompromising," she said today. "If a dish is meant to blow your head off, then it will." "I love that he works with elderly Thai women cooks in the kitchen, learning from them the old ways." Sixteen Chinese restaurants made the top 50 list, while Japan had 10 and Singapore eight, followed by India with six. Ten restaurants made a first-time appearance on the Asia's 50 Best Restaurants list, including Korea's Jungsik (20) and Taiwan's Le Mout (24). Last year's winner Japan's Narisawa was downgraded to second spot this year while chef Andre Chiang from Singapore's Restaurant Andre was awarded the Chef's Choice Award. 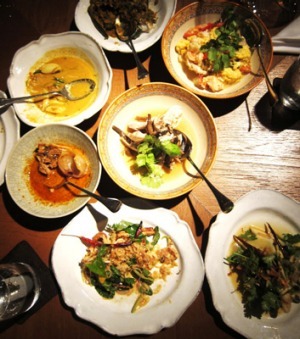 Thompson's Nahm placed third at last year's Asia awards, and 32nd on The World's 50 Best Restaurants list in 2013. Waku Gin ranked No. 68 on the World's Best list.